Wentworth Laboratories has recently delivered a pioneering custom dual-stage wafer probe station, featuring a 12-inch integrating sphere. This bespoke automatic wafer prober was commissioned by a leading semiconductor device manufacturer to test imaging devices. The unusually large integrating sphere can be placed close to the underside of the wafer. This enables probing with vertical probe card technology required for high end production testing. Depending on the application, the integrating sphere can be used to either evenly illuminate large devices or collect emissions from them. It is ideal for effective testing of large optical devices or sensor display chips. With its ground-breaking construction this new wafer prober enables companies to carry out tests which would otherwise only be possible on packaged devices. Being able to carry out extended functionality test at wafer stage means that faulty devices can be identified at a much earlier stage. This can often save substantial costs on packaging whilst massively reducing the overall production time. With an ultra-stable system construction, this fully automatic prober features cassette to cassette wafer handling ensuring maximum throughput with minimum requirement for human involvement. This is further supported by automatic pin-to-pad alignment and OCR wafer identification, which means that no manual operator intervention is required prior to probing. 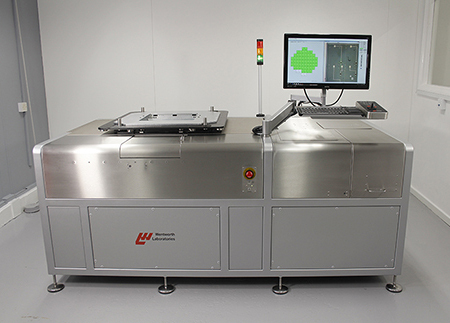 Boasting a Y-stage travel of 570 mm with manual load access to the calibrated stage allows for quick testing of individual wafers without the need of having to go through the complete automated cycle.